So the momentum stitch-up has kicked off big time. I think I’ll constrain this little post to the e-democracy part of the debate. The momentum bureaucracy are proposing that the coming sovereign national conference is framed, decided or influenced by a digital platform and have conveniently launched one. It is called MXV and is based on a product called Consul which seems to have been built for Madrid City Council. When you arrive at the home page, you are offered the opportunity to “sign in” or “Join Momentum”. If you are already a member, and have not been issued with a password, you’re fucked. There is one email address on the site, to use if one has a problem. I have now mailed them twice to ask for login credentials, with proof that I am a member. (The second mail was sent today.) I’d have expected them to use getsatisfaction or user voice for their help desk interface since people can help themselves and see what’s happening; they seem to be learning from the Labour Party and the whole thing is just a black box bit bucket. Actually it’s several steps better because it’s open source, although I have not yet sought to prove that this code line is in use and I don’t do Ruby so I can’t check the vote counting routines. The original product offers oauth support. Fidel Castro died last week. This re-opened a debate around the world, in the UK and the Labour Party as to the appropriate response; it seems we have to sum up his life and the Cuban society he led in one of two words, goody or baddy! Others point at Dr Denise Baden’s more balanced defence on the BBC; she makes the point that if the USA were to be measured through the same lens, it would be found wanting. Otherwise it’s the 2nd best health service in the world, massive improvements in life expectancy and literacy and support for the anti-apartheid movement vs. the imprisonment of dissidents and oppositionists and the restoration of the death penalty. Here’s what Amnesty International has to say; its report places Cuba’s response in the context of the USA’s illegal embargo, but at the end of the day it’s no excuse. Like life, Castro’s legacy will be painted in shades of grey. However, the event of his death has led to yet more bitching in the Labour Party since Corbyn and the Party’s leadership recognise and applaud the achievements of Cuban revolution while the right want to emphasis Castro’s dictatorial and oppressive behaviour. To Airbnb’s chagrin, judge allows San Francisco rental law to stand, which mandates that landlords register with the city council; the law was originally sponsored by AirBnB but they are now liable for fine for contracts where the host is not registered. Hoist by one’s own petard. 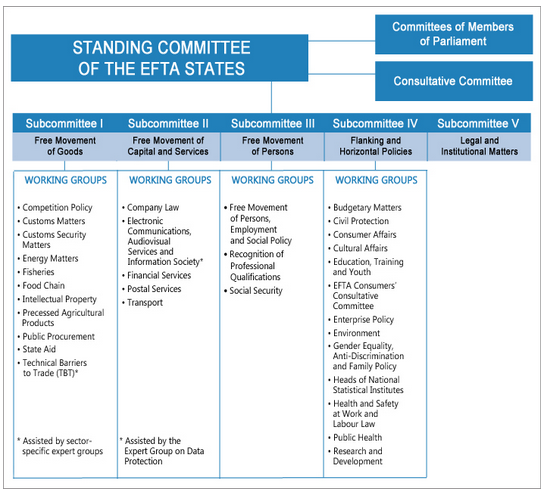 For professional reasons I have been looking at the EEA treaty and its coverage. Why would we agree to submit to all these laws and not want to be part of their creation?